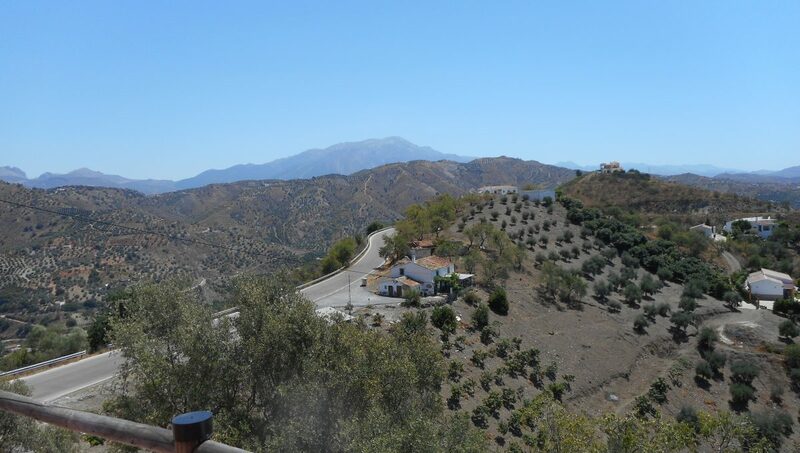 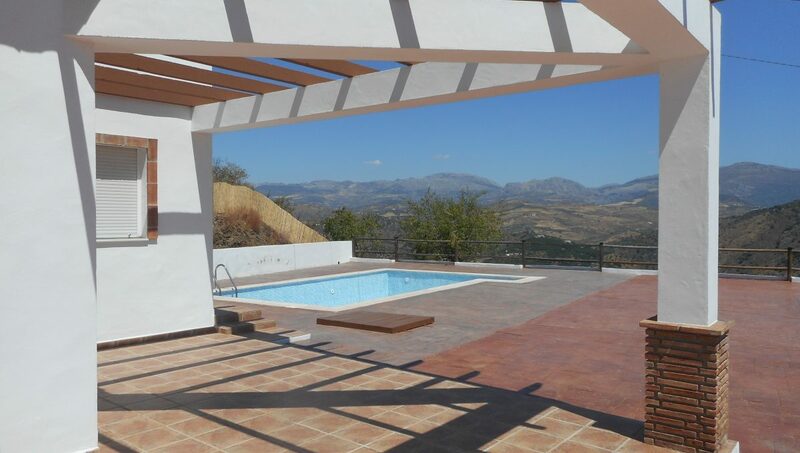 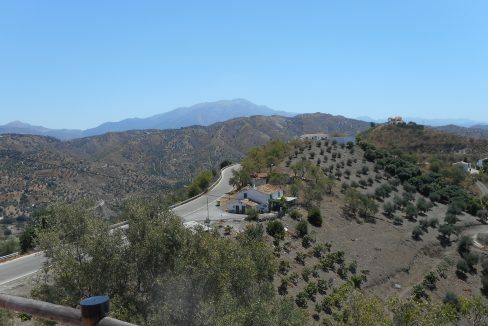 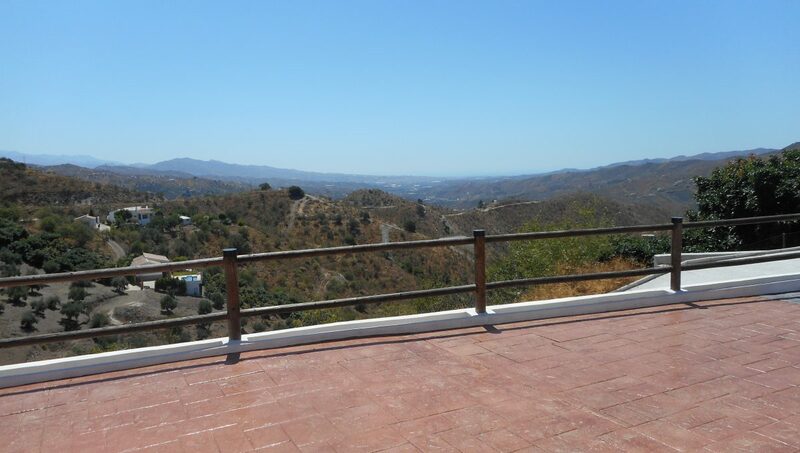 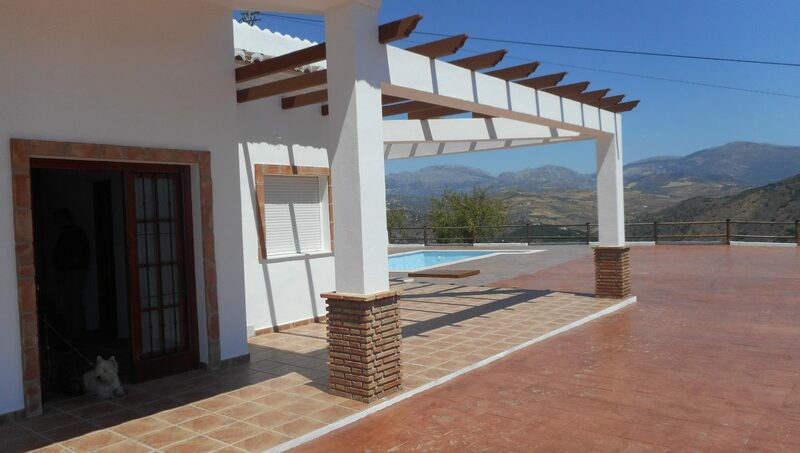 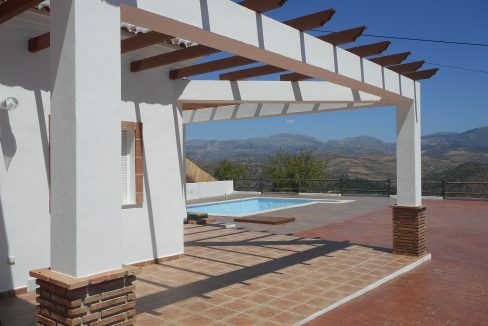 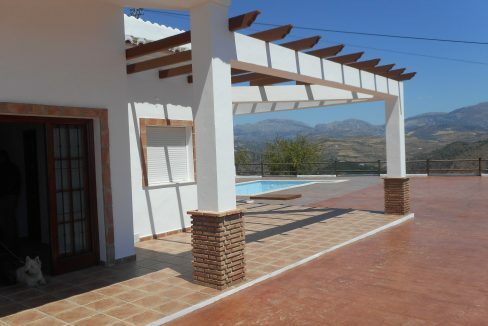 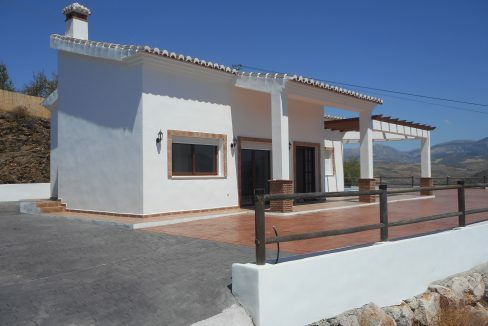 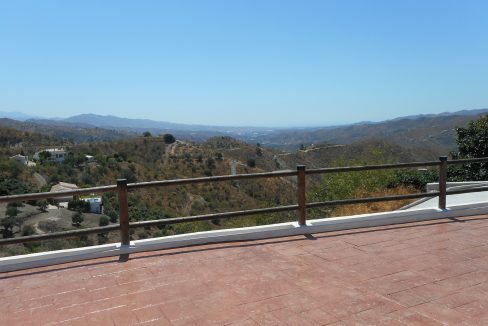 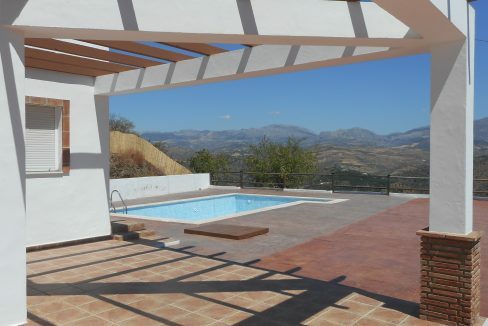 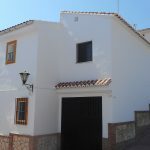 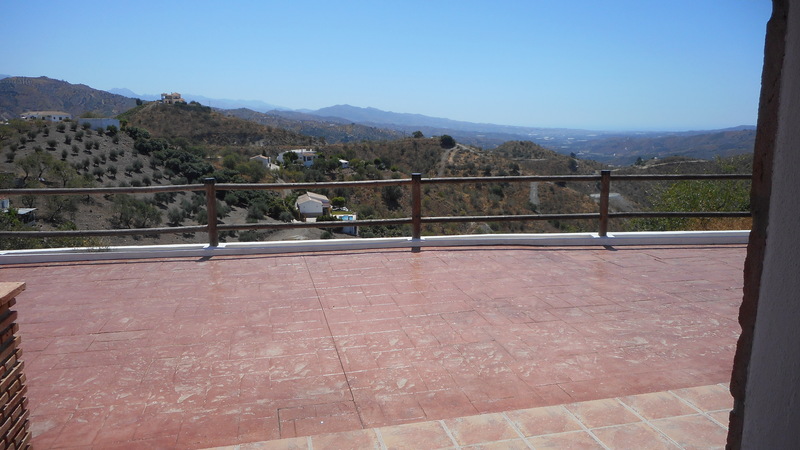 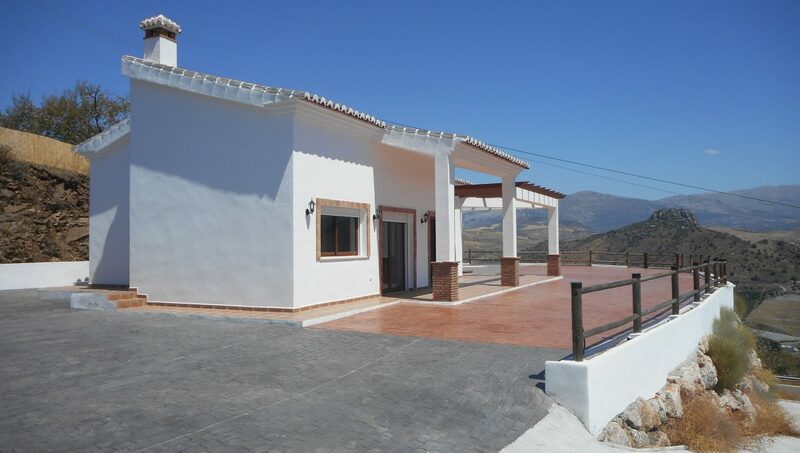 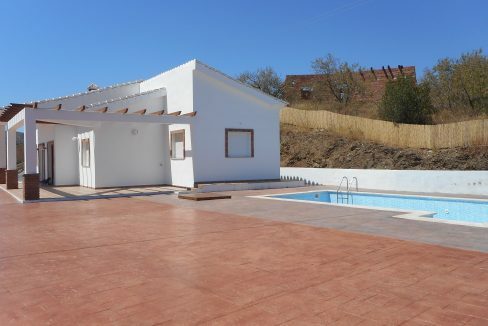 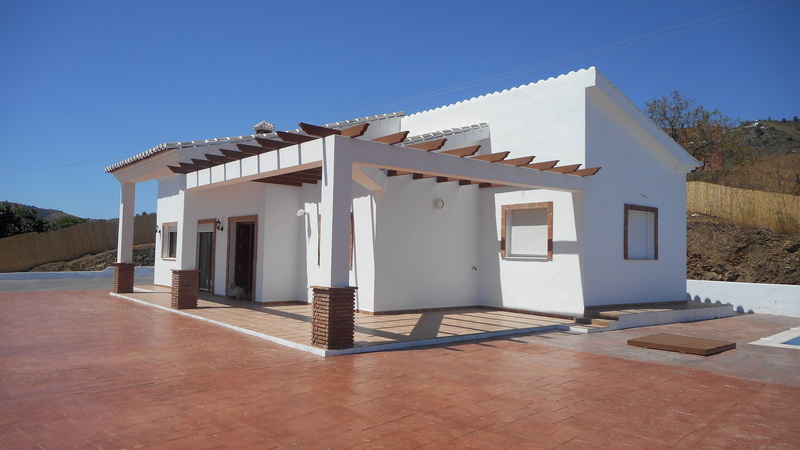 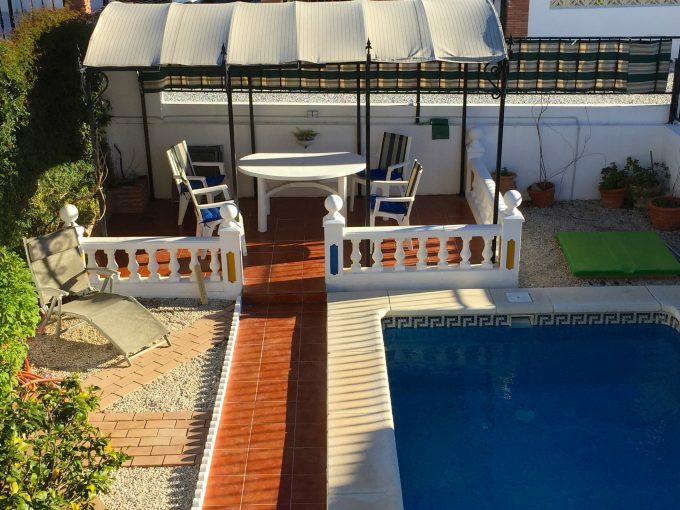 A Reformed modern split level 3 bed, 2 bath villa, 5 minutes outside the white washed village of Comares, with spectacular 360 degree mountain and sea views. 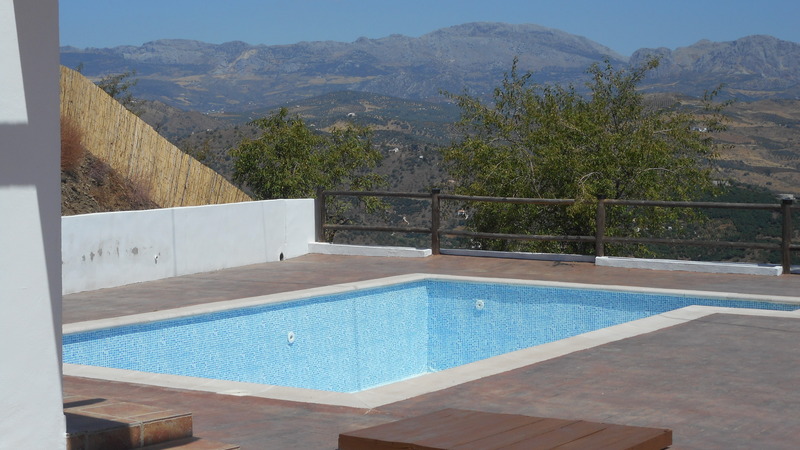 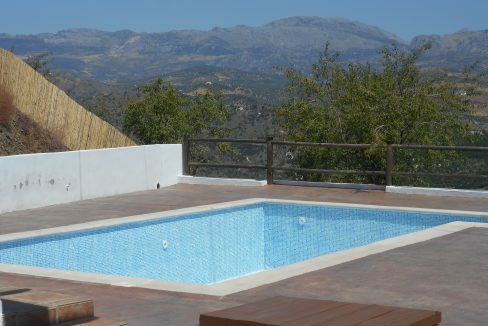 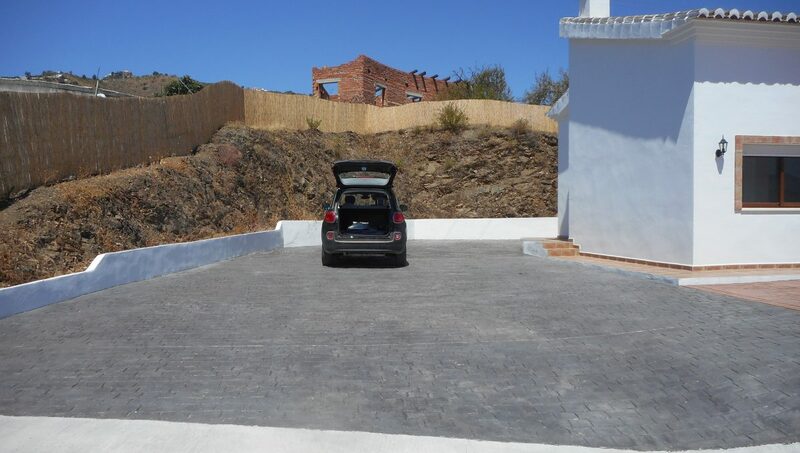 Off road parking and a private 5 x 9m pool with Roman steps, fully tiles and fenced with planters. 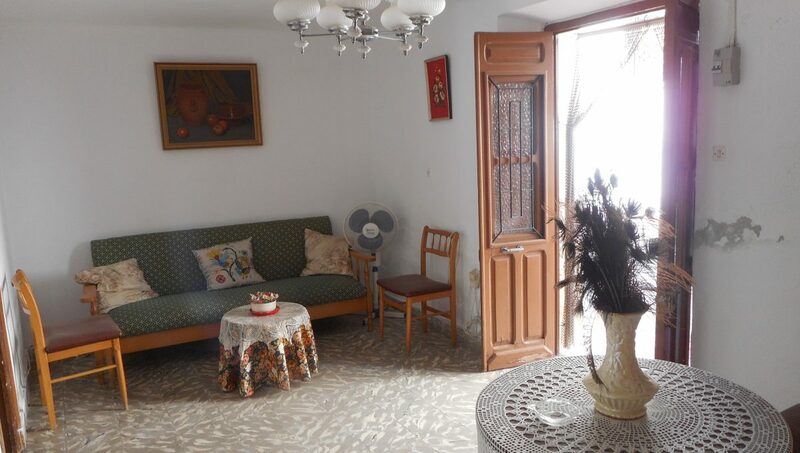 Entrance hall into the open plan lounge/diner with log burner, with high ceilings, kitchen but not fitted, double doors to the covered terrace. 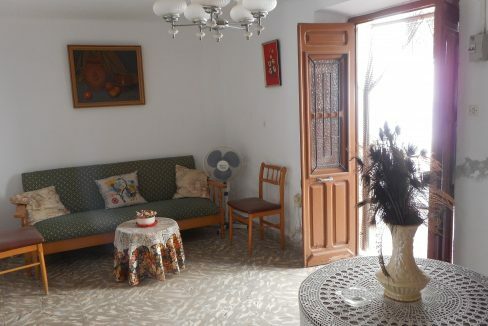 Guest bathroom. 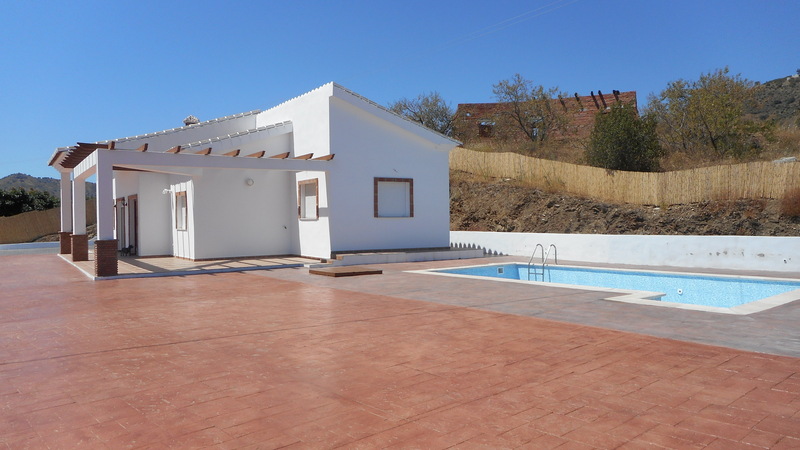 3 large bedrooms, 2 x double, 1 master with ensuite with bath and shower over and bidet. 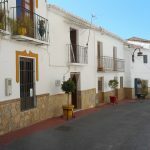 Garden is easily maintained. 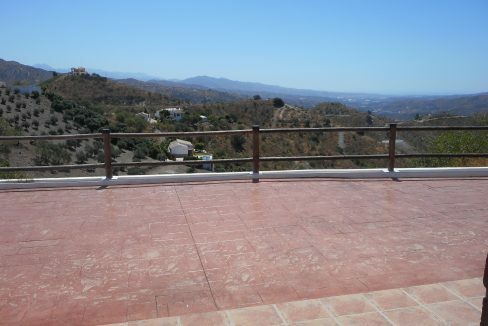 Property has good access and in a quiet, private area. 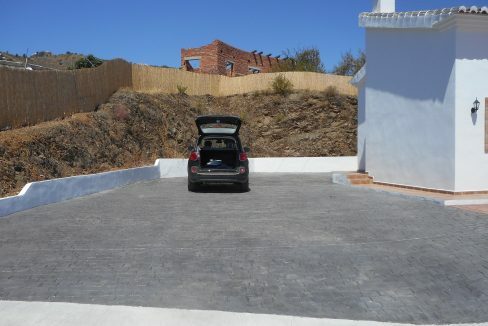 Electric gates to the concrete drive. 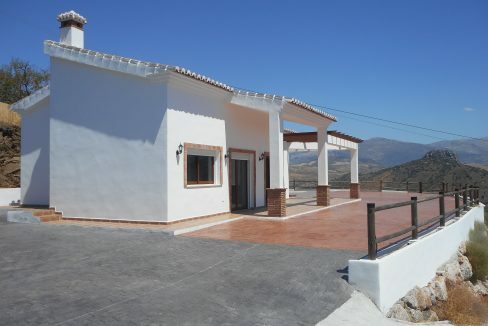 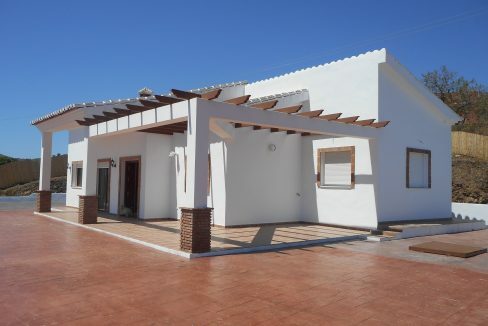 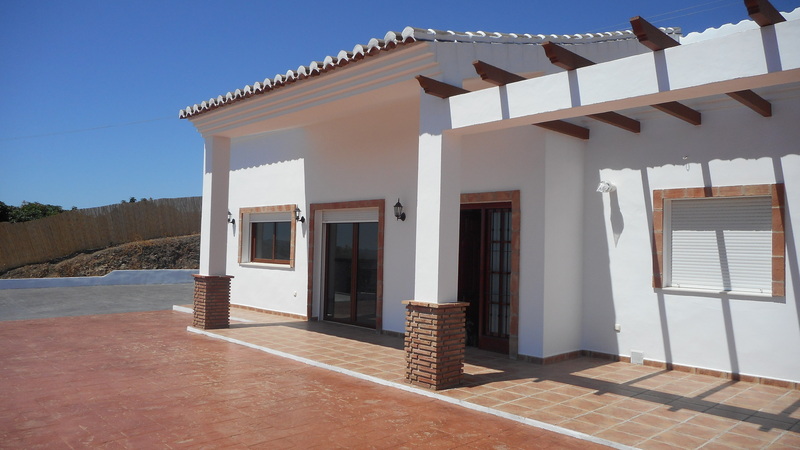 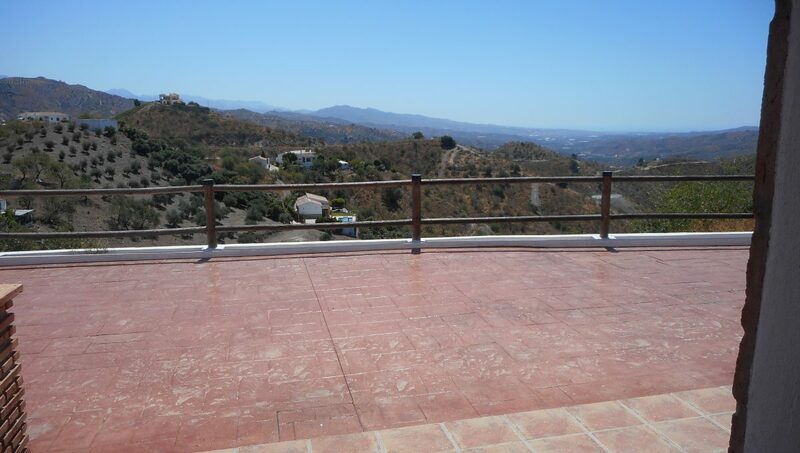 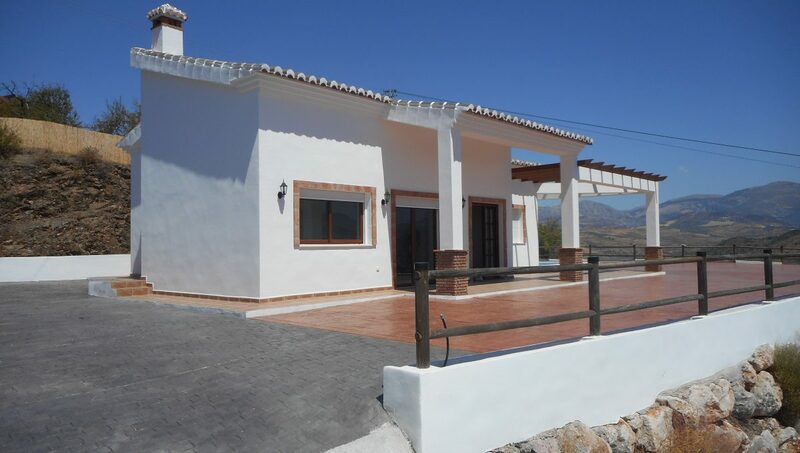 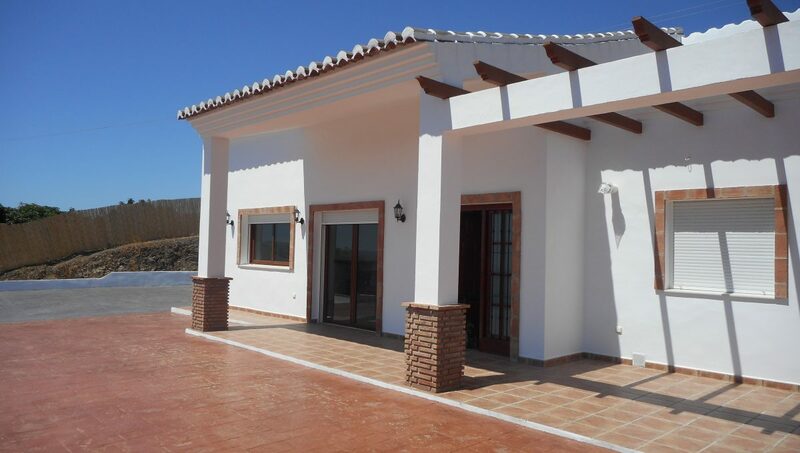 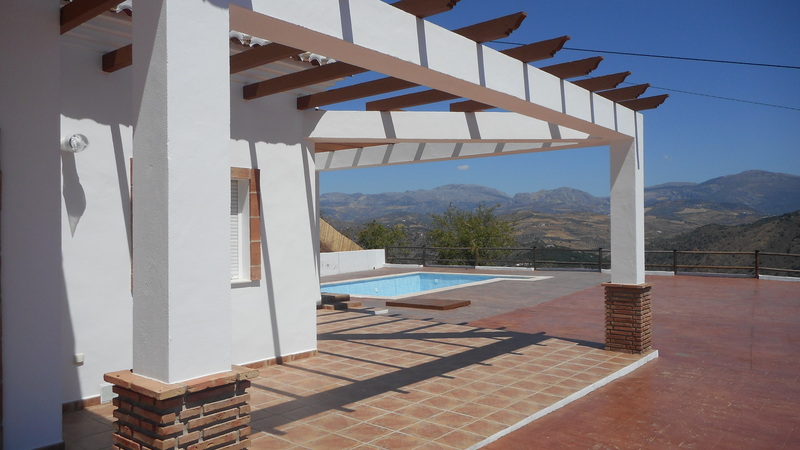 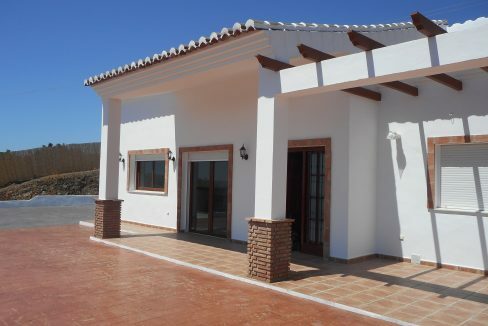 A very spacious modern villa set in 1000m2 of land. 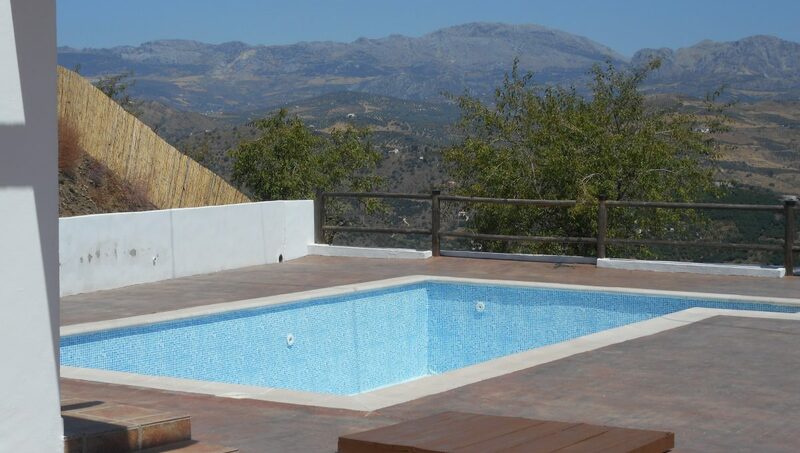 3000 Litre deposito and Posa Septica.